Note: This post was updated 8/4/2016 to include a Japanese translation. Many thanks to Miho Gemmill for her hard work. Jamison Pals first contacted me, June 4th, 2013. I had been serving as CBI’s Team Leader for only a few months, and he was following up on a conversation with Michael Oh about possible foundations CBI could connect with for support. It was a short but helpful email, and I remembered him — perhaps because he was trying to help us fundraise (which no one normally wants to do) or perhaps because he had such an interesting name. Kathryne, I am asking you to go with me. Let’s go…or at least let us do everything in our power to go. The Lord may see fit to keep us here, but if he does not, let’s go. It may cost us much, but would you have it any other way? Whatever we lose will be worth it if we gain more of Christ. I believe the Lord is sending us. I am asking you to trust me. More importantly, I am asking you to trust God’s sovereign guidance and care. He will be with us, and he will go before us. Surely, his goodness and mercy will follow us all of the days of our lives. We will dwell with him forever, wherever we dwell for this life. You will never be without your God and your Savior. Jamison had long had a heart for Japan and began to sense an undeniable call to go and share the gospel amongst the world’s second largest unreached people group. My next interaction with Jamison was that November when Rob Boyle, a missionary on our team, connected us via email to let me know that their family was beginning to investigate opportunities to serve. That began a long and encouraging exchange about the possibility of them serving with CBI in Japan. They didn’t skip steps and Jamison led his family well. We kept talking and the Lord made it clear to them and to us that they should spend a season serving with CBI via World Venture. They would work to learn the Japanese language and seek to build relationships for evangelism via our Heart & Soul Cafe ministry. Kathryne felt called to be a mom, and we told her from the beginning that because of that call, she would have more natural opportunities for outreach than Jamison would. Jamison already knew a lot about Japanese culture and their family was actively involved in ministering to Japanese people in the Twin Cities. They connected us with some of the students they were working with who were returning to Japan. Their passion for serving the Japanese people was apparent and compelling. They even began to mobilize others to consider Japan and helped send a vision team from Bethlehem to CBI this past summer. They had one more trip to Colorado and a just few more dollars to raise before they would be with us in Japan. I did their departure call with World Venture just two weeks ago. Our staff team emailed Jamison last week with apartment options for them to consider. We were all ready for the Pals to have a long season of faithful ministry with CBI in Japan. It was providential that Mike Tong, one of the pastors from Bethlehem, even thought to call. We only met one month ago when he was with the vision trip. He knew the Pals well from Bethlehem. We spent a while talking about them when he was here, and he was kind enough to call us with the tragic news. I had just stopped off for a lunch with my family, but walked outside to see what was so urgent from Mike. He then told me that the entire Pals family had been killed in a rear end collision on Sunday, on their way to Colorado. I fell to the ground in disbelief and horror. Jamison, Kathryne, Ezra, Violet, and Calvin — all gone from this world. This loss is still very fresh and our team is weeping and praying for the families and friends of this precious family. We are so thankful for the ways we have already seen Bethlehem Baptist Church swift to love them well. Below is part of a post I wrote to update our team and to begin to process this hard providence. I share it here as a tribute to this family and their unwasted lives. I know you all did not know the Pals family well, but we feel the loss just the same. If you’d like to continue get to know them and their precious heart for the Japanese people a little better, you can visit their blog. Jamison was a gifted writer and these posts remind us that their calling was no accident and God was with them every step of the way. They have gladly laid down their lives for the Japanese people. My heart breaks for the experiences we will miss together. Their family planned to focus on studying Japanese while serving with the Heart & Soul Cafe with a long term goal of helping with church planting in Japan. Jamison had a background in grant writing and was excited to help me with fundraising; he had already shared several opportunities to help us. 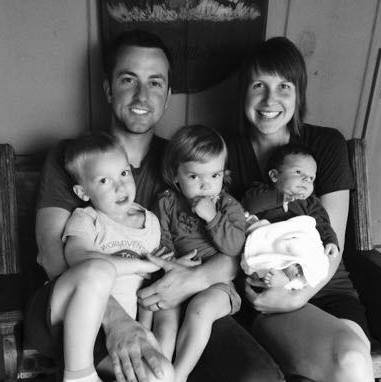 Kathryne’s greatest desire was to be a mom, and she was encouraged by ministries like Baby English and looked forward to building relationships with other young moms. More than anything, they wanted to share the Gospel with new Japanese friends. They had already built relationships with many Japanese in the Minneapolis area and had helped connect some of them to Heart & Soul Cafe. They loved the vision of CBI and Jamison often asked how he could pray for us, even when he was needing help with their application process. They were excited about the development of the Church Planting Center and hoped to serve with a new Japanese church plant in the future. Yasuyo san and I were just emailing with Jamison last week about where they would live. They had hoped to be here this past Spring, but decided to delay with the birth of their third child, Calvin, and support raising delays. They were almost fully funded and they were on their way to MTI for their last training before coming to Japan in October. This news is shocking and sad, but we know that it is part of God’s good plan. For the first time, it feels as though something or someone is actively setting itself against us going to Japan. Strangely enough, I find that incredibly encouraging. I take it as a sign that we’re headed in the right direction. They were indeed headed in the right direction, and this is all a part of God’s sovereign plan. The resistance for the Pals family is over. They have fought the good fight, they have finished the race, they kept the faith. They now wait for that Day when they will enjoy the crown of righteousness laid up for them, a reward they will enjoy with our team and all the Japanese who have loved his appearing (2 Tim 4:7–8). So what now, brothers and sisters? We know that could have been any of our families. And the loss to our team is real, we will never have the honor to serve together in Japan. This news can be like a stomach punch to our faith. What now? Executive Director and Team Leader for CBI Japan. cbijapan.org This is my personal account.